Mar de Pulpí is located in the coastal district of San Juan de los Terreros (Costa de Almería), at the eastern end of Andalusia and borders the Region of Murcia. Andalusia is known for its fiestas, its varied gastronomy, the happy disposition of the people and, of course, its historic cities and thousands of kilometres of coastline with many magnificent beaches. The Almeria coast on the Mediterranean Sea is an area known for its small fishing villages, pristine beaches and well established tourist destinations. Pretty towns can be found all along the coast offering exquisite cuisine based on fish or shellfish and produce from the excellent local farmland, amongst the most famous in Europe. The gateway to Andalusia. San Juan de los Terreros is only 500 metres from the residential development, the coastal town is known as the Gateway to Andalusia because it lies at the easternmost end of the autonomous region. This emerging tourist destination offers sandy beaches and calm waters. The terreros can be seen atop the cliffs, the old homes of the esparto weavers that lend their name to this district. 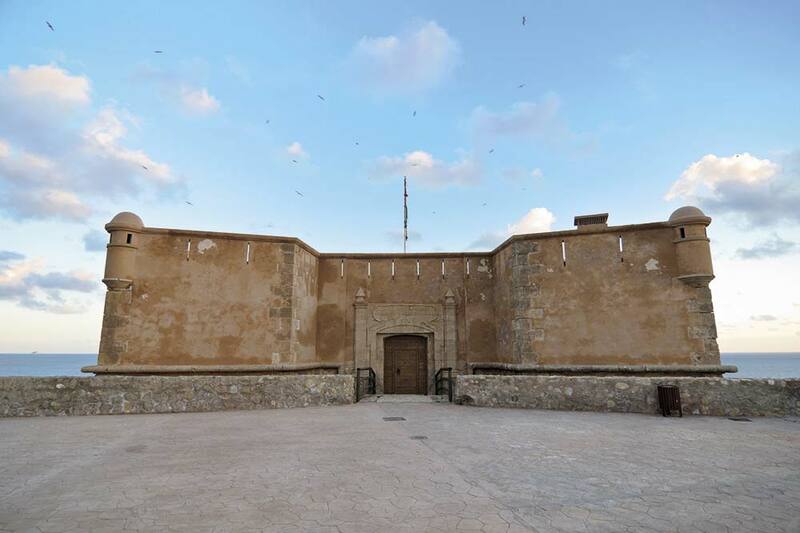 Its most iconic building is the Castle of San Juan de los Terreros, from where you can enjoy some amazing panoramic views. Furthermore, off the coast can be found two volcanic islands that form the Isla de Terreros and Isla Negra Natural Monument. This island is home to the largest community of marine birds in the province of Almeria. Three international airports can be found within a radius of 200 Km of the development. All of them have regular flights to major European capitals, with increased connections during the summer months. The development can be easily reached from inland areas via the A3 motorway that connects to the AP-7 motorway, located a few kilometres from San Juan de los Terreros. Take Exit 878 for Lorca-Águilas and follow the A332.